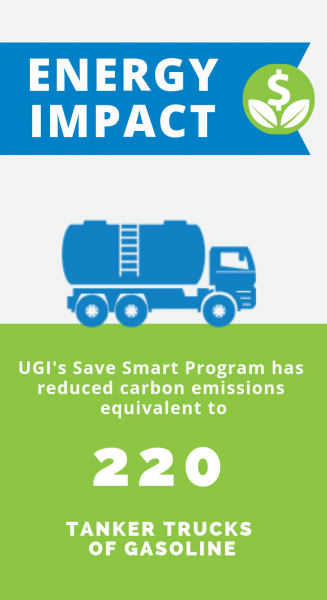 If You Have Any Questions, Please Email Savesmart@ugi.com. These rebates and programs are available to UGI Electric residential customers. Schedule a pickup or learn more. *Refrigerators and freezers must be clean, empty, defrosted and in working condition. Natural gas appliances have an annual operating cost advantage over their electric counterparts. Switch your electric appliances to natural gas and save up to $1,500 in rebates. Learn more. Reduce your energy costs with high-efficiency appliances. Purchase and install ENERGY STAR® certified equipment and get rebates up to $75! Learn more. Reduce your energy costs with high-efficiency heating and cooling equipment. Purchase and install ENERGY STAR® certified equipment and get rebates up to $400! Learn more. Energy efficient LEDs use about 70-90% less energy and last about 15 times longer than traditional incandescent bulbs. UGI want to encourage customers to use LED light bulbs by providing our customers with instant in-store discounts when purchasing select ENERGY STAR® LED light bulbs at local participating retailers. Learn more. UGI will conduct a 60-minute interactive, hands-on presentation teaching the importance of energy and natural resources. Students will receive a free Take Action Kit with measures to help make their homes more efficient. Learn more. Get a FREE home energy assessment by a certified energy professional, and also receive these direct install measures: up to 10 LEDs, 2 water aerators, a smart strip, an energy efficient shower head, and pipe insulation! The assessment will take approximately one hour to complete and will provide the customer with opportunities to save money on their water and electric bills. Program is no longer accepting enrollments. 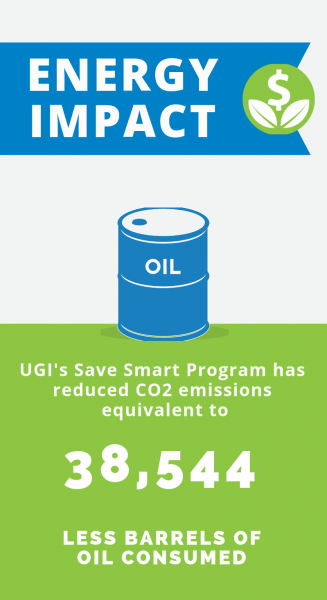 Customers (including UGI Electric), who are income-qualified, may be eligible for free, comprehensive usage reduction services. 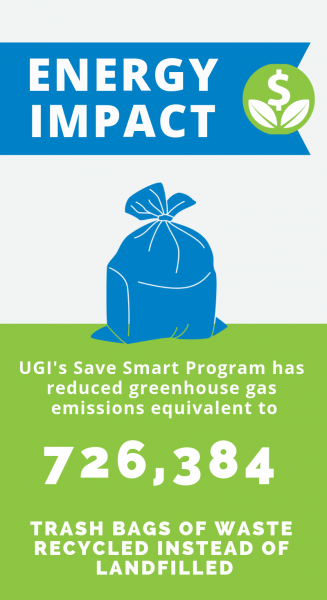 To learn more about enrollment in UGI’s Low Income Usage Reduction Program (LIURP), please call 800-UGI-WARM.